Eliminating fatalities on New Hampshire roadways is an important vision and the driving force behind this plan and the coalition that united in its development. It is also an important vision for the public, all of whom travel New Hampshire’s roadways—by car, motorcycle, truck, bicycle, or even on foot—day and night under all types of weather conditions. Our mission is to create a safety culture where even one death is too many, through a collaborative effort of both public and private entities, as well as the implementation of education, enforcement, engineering, and emergency management solutions. 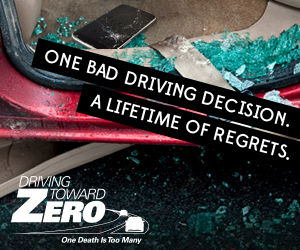 Our vision is to reduce the number of fatal and severe injury crashes on New Hampshire roadways to ZERO. Though our overall goal is to reach zero fatalities, we have set a plan goal of reducing the number of fatalities and severe injuries by 50 percent by the year 2030. Every point on this map represents a fatal crash. Select a point on the map to view details about that crash. Please remember, traffic crashes are preventable - not inevitable! *Crash info and location are approximate pending final investigation.